Dmitry has been involved in bitcoin in various capacities, including mining, investing, helping with related project development, venture funding, and volunteering as a Bitcoin consultant for “Bitcoin 101″ tables at various conferences. Since its founding in November of 2011, Dmitry has worked as an accountant and treasurer for the Bitcoin100 charity fundraiser, and was promoted to the role of director in May of 2013. More recently, Dmitry was hired to work as a Community Manager for Mycelium, the group behind the Bitcoin wallet, as well as the BitcoinCard.org project. Mycelium has recently come out with a feature for their Android wallets called Local Trader, which allows people to buy and sell bitcoins locally, in person, with cash. Initially, the trades were limited to sell ads, meaning people willing to sell bitcoins could put up an ad, and those wishing to buy bitcoins could contact them and set up a time to meet and trade. The option to set up a buy ad, which would allow locals to convert their bitcoins back to cash, was delayed, since Mycelium wanted to first focus on helping those new to Bitcoin to have an easy way to get their first bitcoins. 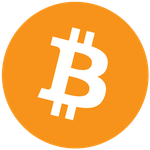 Now, with the release of Mycelium Bitcoin Wallet version 1.2.9, which finally adds buy ads to Local Trader, Mycelium’s Local Trader became a fully functioning bitcoin exchange. Mycelium is a bitcoin wallet for Android phones that focuses on more advanced user features, such as full key management and cold storage spending. The new Local Trader option is a feature that is built right into the wallet, and allows users to find locals in their area who would be willing to exchange cash for bitcoin, bypassing banks and centralized exchanges completely. Since all private keys are stored in the wallet right on the phone, there is no risk of an exchange losing your coins. There are also no risks of websites shutting down temporarily or disappearing completely, as Mycelium connects to a group of redundant servers, and in a worse case scenario, all wallet private keys can be easily exported to be used in other wallet services. There is also no risk of exposing your private information to hackers, since all trades are done directly in person. To keep things as anonymous as possible, Mycelium Local Trader uses coarse locations, only uses your bitcoin address to register and authenticate with the exchange, and encrypts all communications directly between trading parties using their respective private keys. If Mycelium servers were to be hacked and data stolen (or logs were requested by authorities), the only things that would be exposed are the trader’s nicknames and bitcoin addresses, and a general rough location of wher e the sell and buy offers are available – information that is already publicly visible. Any communications would just come out as encrypted gibberish. To create a buy or sell ad, users simply create an ad in the Local Trader menu, where they can set up a location from which to trade, choose a base exchange price and fee, the currency they wish to trade into, the amounts they wish to limit the trades to, and any additional notes for traders that they wish to display, such as time of availability or extra instructions. The great thing is that traders are not limited to the amount of trade ads they are able to create, and can set up tiers that charge different fees for different amounts traded, or set up trades at different locations with fees reflecting the difficulty of getting there. Anyone who wishes to buy or sell bitcoin using one of these ads simply clicks the Buy/Sell Bitcoin button, and instantly receives a list of available offers in their set area, which they have to change manually, and which is based on a coarse location (another privacy feature; Mycelium will never query your exact location automatically). From that list they can check prices, get more info on the traders, and even look them up on a map. If they find a price and a trader they are willing to deal with, they just hit the Buy (or Sell) button and initiate a chat to discuss when and where they could meet. Mycelium hopes that this feature will make bitcoin more accessible to everyone, especially in areas where bitcoin is difficult to get, such as China and Russia. Since Local Trader also includes an open API, in the future you may even be able to use it to find local bitcoin ATMs, and possibly even bitcoin businesses. And now that the Local Trading platform is finished, Mycelium can start work on the next major feature: Hierarchical Deterministic Wallets (BIP32), which will let you back up all your keys by making just one backup of a seed, and will allow you to stay more anonymous by never reusing change addresses. To get Mycelium for your Android phone, you can download it from Google Play or directly from Mycelium.com. Mycelium – Decentralize ALL the things!